I’ve spent most of the week thinking it’s Friday, then realizing it’s not. No idea why I’m in a rush — I’m not ready for it to be a Friday because I’ve still too much to do. Nevertheless, it will be Friday when I get up. 305 words today, which is better than yesterday, but still struggling along. I saw this cool card trick recommended to help get words, and I might try that. Between that for the writing and some Pomodoro for the paying work, SFWA work, and other responsibilities, I should be able to get on track. Just need to be sure I get enough sleep and the breaks between tasks are long enough to be breaks but short enough that they don’t take over my days. 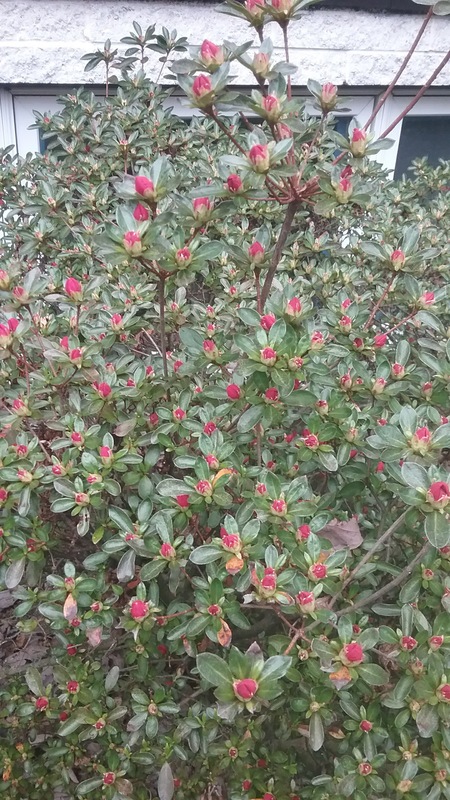 Azalea is getting ready to bloom. Magenta blooms later than lavender, which is most of what’s in the neighborhood. Need to feed it some tea leaves and coffee grounds when it’s done blooming.